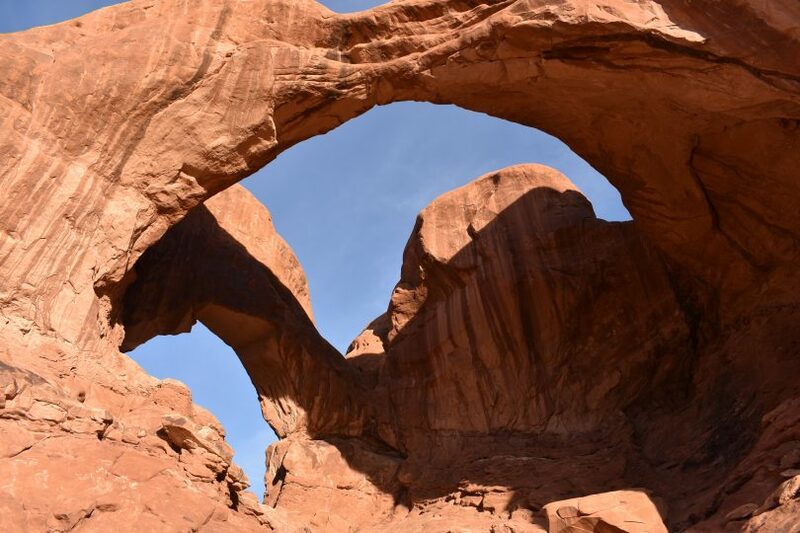 Double Arch in Arches National Park is a very short trail to the bottom of a tall beautiful pair of interconnected arches. 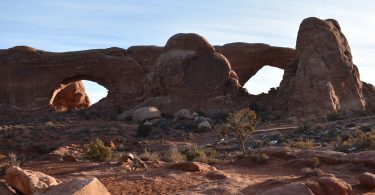 Though you can see this formation from the road, it is worth the hike because the perspective from under the arch is very unique. The out-and-back trail runs for less than a half mile from the lower Windows area parking lot. 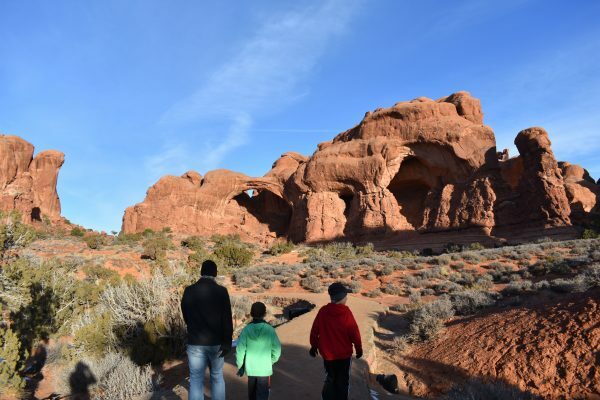 Double Arch is a great kid hike in Arches. The arch is visible from the parking lot, and you can get a pretty impressive picture from there. But the trail is short, so it’s easy to get closer. You start off very slightly downhill and continue until you reach the climb to the arch. It’s only about a quarter mile. Keep your eyes open as we’ve often seen both cottontail and jackrabbits on this trail. 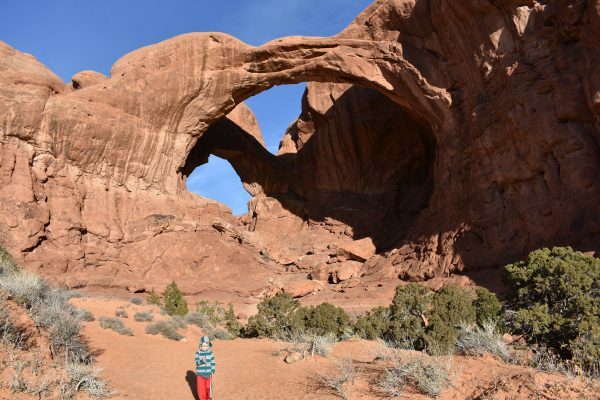 The arch is visible the entire time you are hiking. The trail is very sandy which is fun for the little kids. 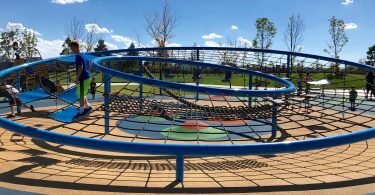 When you reach the arch, you have the option to climb up underneath it. This isn’t difficult to do if you are in fairly good condition. Looking up at the arch from below is similar to looking up at the apse of beautiful cathedral. It really is impressive. 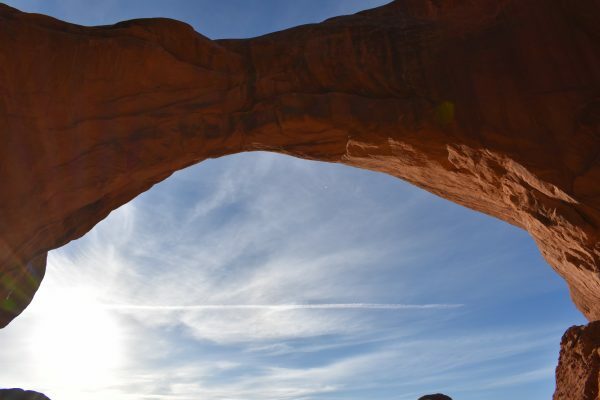 Double Arch is spectacular to see, especially because you can walk right under it. Make sure to walk under this arch. It’s worth the small hike. 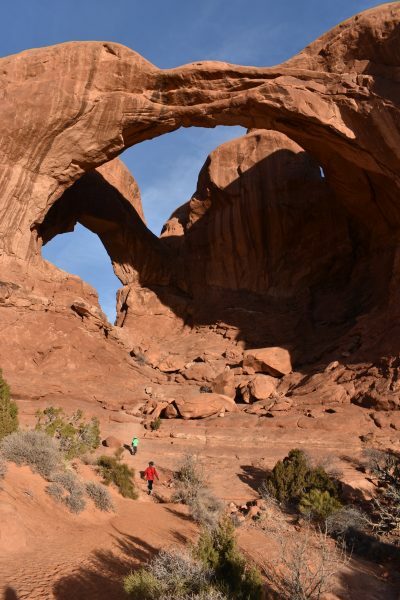 We suggest pairing this hike with The Windows. Both trails are very short and easy. 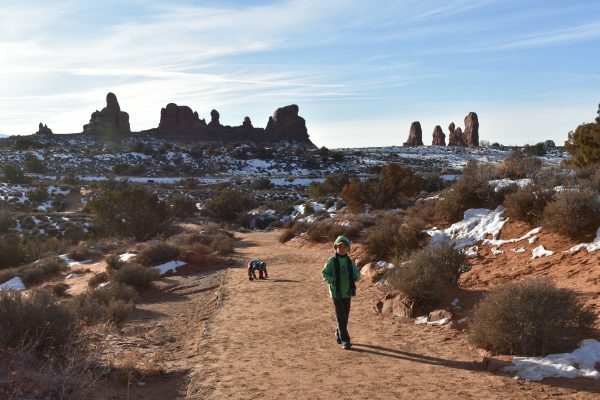 All visitors to the park should spend some time in the Windows area when visiting Arches National Park. 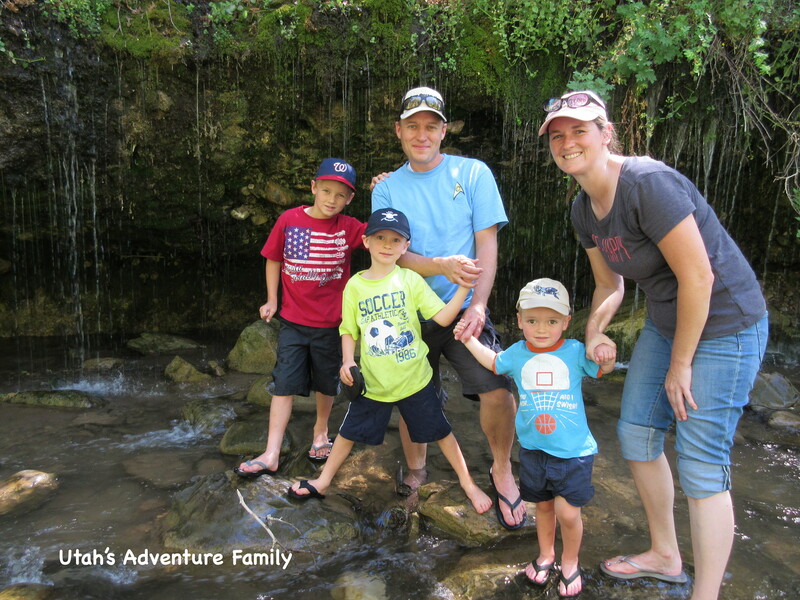 If you are looking for the great family hikes, visit our Arches Kid Hikes post.